I have lots of time in office. I spend almost 7 hours doing nothing..believe me its an art to enjoy this phase of life and not be bored at the same time. Before my 2nd trip to Kerala in mid-may I researched a lot about the road maps, places to visit etc. in Kerala. And Ofcourse the purchase of My dearest Ävi. The first time we discussed about a road trip to Kerala was 2 years before. At that time I had a Splendour, Avadhut had his antique CD-100SS, Mukul was planning to buy a new bike and Anmol was as always stubborn for a bike trip and Manmit preferred a car/train trip. We had decided to go by Konkan railway and load our bikes in the train, roam the entire Kerala state on our bikes and then return back by train. But today things have changed, a 350cc Bullet, a 500cc Bullet and two Avengers (If Anmol is willing to bring his motorcycle) are more than willing to hit the national highways. The plan is for 14 days in Kerala. Ofcourse it is just a rough plan and things are bound to change dynamically. The basic outline for the plan is something like this. All distances are practical in a sense thinking of the highways traffic jams, weather conditions, offroading and its consequences ;). I know it is easily possible to complete 700kms in a day thereby saving a day and we might even do that. Day1: Pune to Panaji: Distance covered is 461kms. Everytime we goto Goa it is from the Kolhapur-Amboli-Sawantwadi route. However since we are interested in going to Panaji directly and not to Calangute, the route from Kolhapur to Panaji via Belgaum is the shortest.Till Belgaum we take NH-4 and then we turn towards Panaji to join NH-17. Day2: Panaji to Mangalore: Disatance covered is 505kms. It’s riding only on the NH-17. Seems to be a beautiful ride through coastal Karnataka.What I like most of such bike trips is not just visiting the places but the travel time too. However there is a high probability that we will cross Karwar on the first day itself. Karwar is about 550kms from Pune. Day3: Mangalore to Munnar: Disatance covered is 402kms. Till Calicut we still continue to ride on NH-17. From Calicut onwards we turn in the interiors of Kerala towards Idukki district for Munnar. Now the real journey starts. Munnar will be the first place we will explore in Kerala. I hope the weather will be great since this is one of the most scenic hillstation in India. Day4: Explore Munnar and complete rest. Our biker souls will need a much deserved rest and Munnar seems to be the most idyllic place for that. There are thousand of spots in Munnar and I hope we cover almost all the major ones. I am expecting just 100kms this day exploring around Munnar since rest is on top priority. Day 5: Munnar to Thekaddy (Periyar Wildlife Sanctuary). Distance covered is 110kms. Assuming that we don’t take a rest day because of some or the other reason then we head to Periyar Wildlife Sanctuary.This might turn out to be the best drive of the trip.Only 110kms, but the road takes you through dense forests, slopes cornenerd by waterfalls admist greenery. Since 110kms can be covered in just a few hours we get the whole of the evening for ourselves. We can shop in the bazaar and at the same time go for the boat ride in the evening in the Periyar lake. This is one of the most unique sanctuaries in India. Although the option of exploring the 777sq. km sanctuary by car /foot is always open; but still the most preferred means for exploring the sanctuary is the boat ride in the lake which is situated in the middle of the forest. The boat rides are open throughout the day, but the probability of spotting wild animals is the most in early morning or in the late evening. Day 6: Periyar to Alleppey. Distance covered is 155kms. Most of the tourist stay in a town called Kumily which is situated just next to the sanctuary. There are hotels inside the forest too, but they are expensive. Periyar is also famous for its spice gardens and it offers guided tours to these gardens..but I am sure we might not be interested in it. There are shops which sell the best quality spices in India. Also lots of shops offer souvenirs made by the tribals/ locals. We can spend the morning shopping and visiting the park and then in the late evening we can set off for the land of backwaters- Alleppey. 155 kms by the side of the backwaters.. Oh!! I am simply going to love it. Day 7: Around Alleppey. Distance covered is 25 kms. Day 8: Alleppey – Trivandrum- Kanyakumari- Trivandrum. Distance covered is 333kms. After being rejuvenated (MS-Word corrected the spelling for me 😉 ) at Alleppey it is time to reach our destination- Kanyakumari. Actually Kanyakumari and Trivendrum did not feature in my original Kerala plan since I was of the opinion that going till the southernmost point is too much of time consuming. However, I realized (after Mukul’s disapproval) that going to Kanyakumari is the biggest kick for keep the trip going.. I mean just the thought of reaching the southernmost point of India gives so much of satisfaction. Drive till Kanyakumari is on NH-47 via Trivendrum. Once we reach Kanyakumari and after watching the Vivekanand Rock Memorial and the sunset I don’t think there is much to do here. We would have travelled only 244kms that day. Since Trivendrum is just 87kms it is better to return back to Trivendrum. All capital cities have their own charm and so does this one. Kovalam beach is the most famous here. Eat, drink and a day dedicated for complete rest. We can also use this as a reserve day. Day10: Trivendrum to Cochin. Distance covered is 220kms. 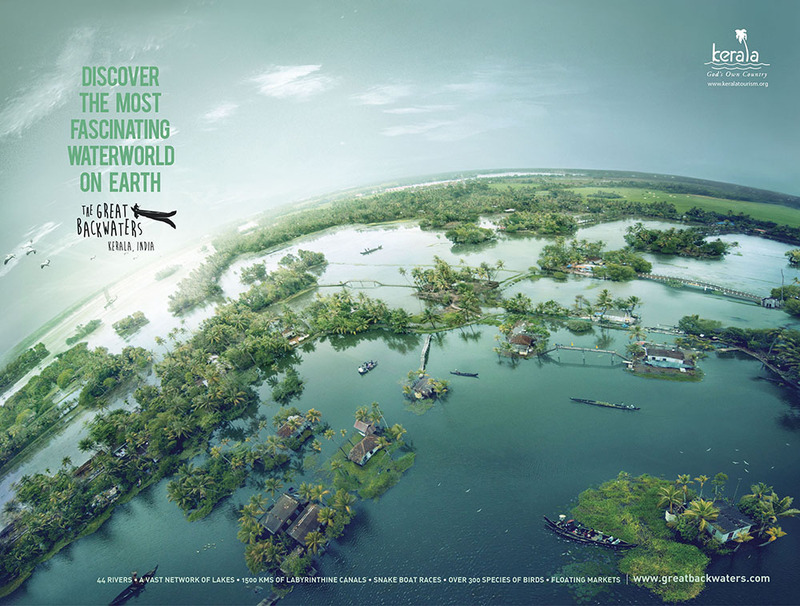 The only city left in the itinerary is Cochin. 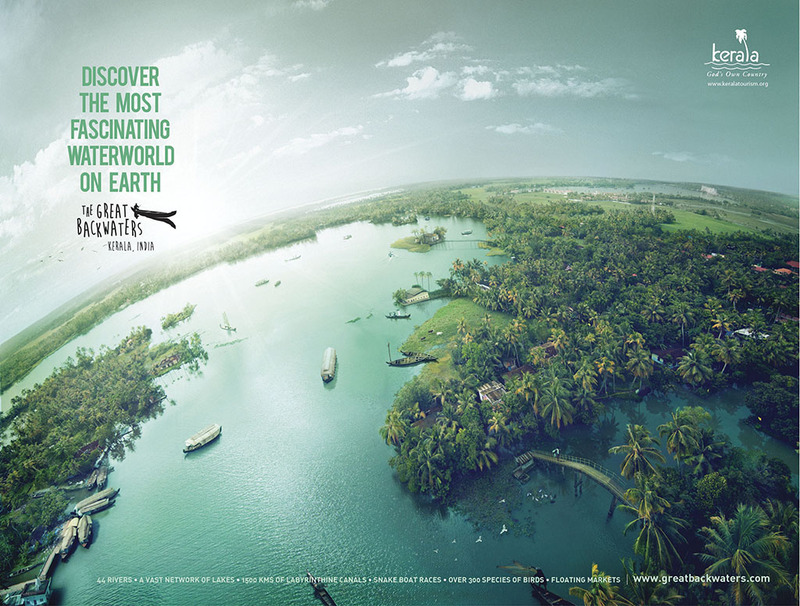 For that matter every part, every district of Kerala is worth a visit, but then we have only 14 days with us. Cochin can also be skipped and we can start our return journey from Trivendrum itself. If we reach Cochin we get time to shop and most important is we get time to bid a final goodbye L. Refer map of NH-47. Day11: Cochin to Mangalore. Distance covered is 447kms. 447kms ride of pure bliss. The entire road is through coastal Kerala entring southern Karnataka. Day13: Panaji to Pune. Distance covered is 461 kms. Repeat of Day1. Refer to NH-17 road map. I hope our (Manmit, Anmol and ofcourse myself) leaves are approved for the 2 week Kerala trip. Worst.. I sincerely wish that at least Mukul and Avadhut make this trip and use this post as a reference J.
Kochi and Cochin. Also Ernakulum is the also used. I dont exactly know which is used when…but all 3 are almost the same. Mangalore and Mangaluru (in Karnataka). Moreover Periyar is not a district. The wildlife sanctuary is called by that name. But it is in the Thekkadi district and in a small town called as Kumily. So basically when I refer to Periyar it is actually Thekkadi. Kumily in some 4 kms from Thekkadi. Updated on 30-Mar-2014 after receiving an email from one of the finest tourism board of Asia- Kerala Tourism Board. Disclaimer: The information provided on this website can be used by anyone..however I will love to see a “Thank You” comment. The distances might not be accurate and the spellings of some towns in Kerala might be atrocious. I hope the CPI (M) don’t go on a strike or order a ban on my blog. PS: This is till date my most reasearched blog. PPS: Most of the images are taken from http://mapsofindia.com and edited in MS-Paint (I love the simplicity of this tool). I have also used http://wikimapia.org extensively in my research. Although the former is a paid site I don’t intend to use the maps for any commercial purpose and use is only for personal research. I have used the distance calculator of http://www.kerala.com/distance.htm. I thank this website too. However the distance chart is not copy-pasted from any website as you might have assumed. It is done in a liscenced copy of MS Excel. The Microsoft Office Picture Manager comes handy for cropping and resizing the images. « How did I forget this.. WOW!! Very detailed and graphic travelogue. I am sure it will help all the aspiring bikers. Your research and descriptions are crisp and lovely. Well done. @shrinidhi: nice to see u on my blog 🙂 ..
hey kiran… grt stuff… crazy hard work put together… I sure might use this for a trip! Inspired me to have the same one which you alll have……..
hey i am planning my own trip on the similar route. i really appreciate the infos which u have shared. looks like its gonna be invaluable. i thank you from the bottom of my heart. Thanks for sharing such an amazing trip!!!!! your blog was truly helpful, I am planning a trip from Manipal to Tekkady. planning to go somewhere in December. havn’t gathered yet. I am looking for someone who can join me from Manipal. Thanks for this Blog that I decided to do a Road trip from Delhi to Kanyakumari. I used your route for the leg after Pune. If you are interested to know or would want your community to know about my trip, I can send you the details. gr8 blog… gud info for ppl who want to adventure on bike :)… been to kerala.. but not on a bike.. hope it would have been thrilling ride thru.. ghats..
Hey Dude! Good research work done. Would like to know if the trip was successful or still under planning stage. I am planning for the same somewhere in the month of March, 09 on my Unicorn. I thik so u r Analyast………. see i am also going to my home town kochi in my bike apache rtr160. i would like to know that how to start my trip from pune to kochi regarding the easiest route to reach kochi,kerala. the whole information is really helpfull. thou not on my avenger. will be taking my car. so probably cud make it in 2 days with a stopova at mangalore as want to see that place. ambitious plan…though all planning no action. i am also planning to go to kerala (payyanur) on my i10 in april. also can anyone give me detail on the kind of roads. like at which place the roads are bad and which area i should be more careful. oops.. forgot to add my name in the above post. Thank you very mutch I am planing to go to Kozhikode by car with my family. Thanks again for giving full datails of NH 4 and NH 17 it is going to help me a lot. Need ur help, how can i reach u? I am planning to drive to Kumarakom, since u took a detour to Munnar I am a lil confused? I salute your spirit of adventure!! THANK U SO MUCH FOR THE ROUTE INFO. U CAN CONTACT ME IF U WOULD LIKE TO SEE SOME OF MY PHOTOS ON PUNE-MP-UP -H.P.-RAJ. TRIP AS WELL AS DELHI-LEH TRIPS WHICH I MADE .NOW I AM SETTLED IN PUNE .MOB; 9890004433 . THANK U ONCE AGAIN .I HOPE I CAN MAKE THIS KERALA TRIP ONE DAY .I OWN A ” SCORPIO ” NOW I MOSTLY TRAVEL IN THIS . U helped me out with this article quite a lot, I am planning to go on this tripby my bike to Goa from Cochin in the first week of oct 09. Would love if you could share some places and things to be done to checked out in Goa. two days back i was thinking of going to kerala by my car. today i was going through road mao to kerala i saw your blog. your study is detailed one with distances. i want ask all weather anybody has gone to kerala by car and what are their experances, about lodging and boarding in kerala. pl reply. hai man i am planning 4 a trip from ahemed nagar (pune) to kerala.i was searching for the road map and suddenly and fortunately found ur blog….great man..i am from kerala…thank u very much for ur inspiring description,,,,i will be riding an yamaha rd350 ht from ahemad nagar…. hey thank u vry i was planning a trip 2 kerla on da same route n your research has been vry help ful its gr8 n really gonna help….. AWESOME!!!! I have not seen such a detailed informative blog till date on any route. Thanks a ton for sharing this. Gr8 Trip and very nice planning. I am very much impressed. Thank man for writing such articals. Leading tour operator in india provides Travel and Tour with adevnture in rajasthan, madhya pradesh wild life safari, river rafting and many more…………. Jaipur Tour Packages, Delhi Agara Jaipur Tour. Did this tour actually happen? The plan seems a bit too hectic to me. I feel 400 KM is the ideal on most days if you are traveling continuously day after day. Besides, my experience says that bike trips are best unplanned. No missed schedules, not irritation. Just go with the flow. Any update on road conditions and hotels (to stay enroute). I am planning a road trip from Pune to Calicut in my Scorpio. Great plan i think it is best with bikes. Nice post in your blog thanks for sharing this. I like the way you have described the bike-able city of Pune and beyond. Great Article ! Hey guys I know your seeking to find the places where you can enjoy in your way. 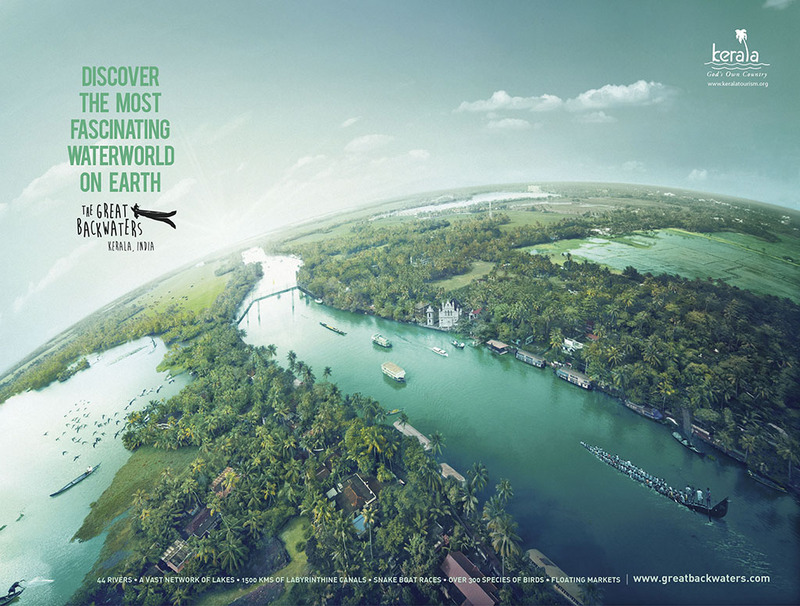 Here I would like to tell you one thing that Kerala is a one the most famous city in India. There are various things like – Kerala Cycling, Walking Kerala in the green places and so on. Informative Article. please visit Demyto.com this website provides online Car and Motorcycle servicing, Accessories and Spare parts. for Mumbai to kerala by car its very intresting and you will enjoy all day before reaching kerala. Kiran its good blog, avery informative and helpful to travelers ..i am also planing to bike tour for Kerala..